Diamond Supply Co. and Lakai have recently rolled out a new collaborative collection, which features the on-hand edition of the Griffin sneaker. The skate-ready pair has been done up in black suede, resting atop a contrasting white midsole. White leather branding has been stitched alongside to tag to Lakai&apos;s liking, as both Lakai and Diamond Supply tagging can then been seen atop the tongue. Tonal laces accompany the low-top kicks, while Mint-colored midsole trim adds a nice pop effect to the tag team set. 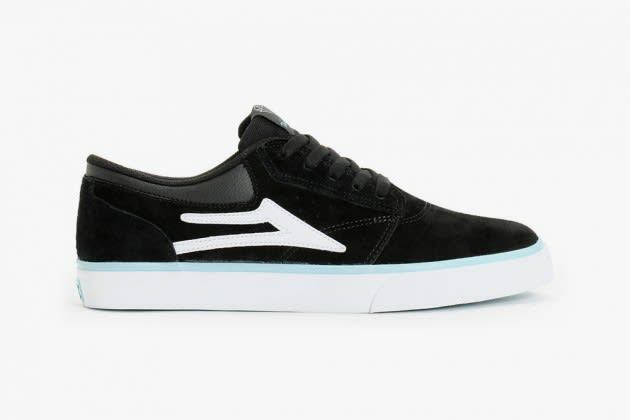 If you&apos;re looking for the joint effort from Diamond Supply Co. and Lakai, you can find the Griffin available today via Lakai&apos;s website.